It was a wild weekend of football. Nothing will top the INSANITY surrounding the final play of the Seahawks/Packers Monday night game, but Sunday saw its share of craziness. In a wild comeback, the Lions were down 41-27 with 18 seconds to go. After a touchdown, 2-pt conversion, a recovered onside kick and 0:00-on-the-clock hail mary, the Lions sent the game into overtime tied at 41. The Lions went on to lose 44-41, however. It was a real gutwrencher, even before the final 18 seconds. Hopefully I can find some redemption against the 8-bit Titans. Lions RB Kevin Smith returns from his injury. I accidentally kick an onside kick (it’s easy to do in this game) and the Titans run it back to the Lions 11-yard line or so. This may not turn out good. Stafford throws an interception and the Titans bring it back to the Lions 17 yd. line. Ugh. Titans QB Jake Locker throws a TD pass to WR Kenny Britt on the first play of Q2. 14-7 Titans. A huge Stafford to Megatron pass goes from about the Lions 20 to the Titans 11. Suhhhhh gets himself a saaaaaaack! Titans are forced to punt. This makes me happy. 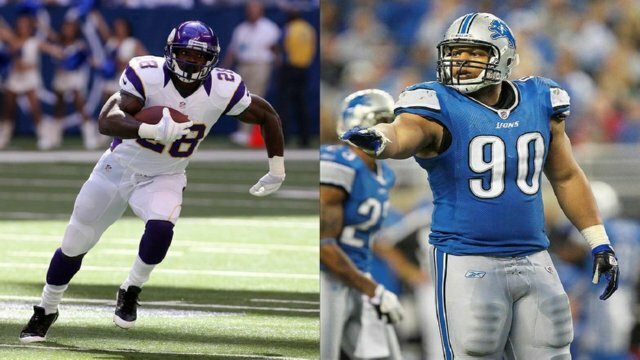 Stafford throws what looked like an ICBM missile to Megatron for another TD. ICBM stands for I Can’t Beat Megatron. 21-14 Lions. All of Stafford’s pass yards were to Calvin Johnson. Jake Locker has 1 completed pass on 1 attempt, the TD to Kenny Britt. Jeez, who needs to pass it when you have Chris Johnson? He takes it to the house on the 1st play of the half. 21-21. Titus Young would have had a great kickoff return… if he hadn’t fumbled it. Titans recover. Chris Johnson again. These running backs in these 3 games I’ve played are KILLING me! 28-21 Titans. A long bomb from Stafford to Nate Burleson saves the game. 28-28. We are tied going into the 4th. Yikes. A couple missed passes and they’re forced to punt. Why have they abandoned the run? Oh well, I’m happy. No! I’m not happy! I’m pissed! Titus Young fumbles the punt return… AGAIN! Titans recover. If that didn’t sting enough, Chris Johnson was the one who recovered it. Corey Williams gets a sack in the midst of a series of goal line stands. No miracle touchdowns, please! I hold them to a field goal. Whew! 31-28 Titans. No. There’s no way. Nope. No. Seriously. Did Titus Young REALLY fumble it AGAIN on the kick return? Did the Titans REALLY recover it? Well, a shot at quick redemption for me as the Titans go 3-and-out. I’m changing Kick/Punt returners after this game regardless if Young fumbles on this return or not. I have a few seconds to make some magic. LAST SECOND LONG-BOMB FROM STAFFORD TO MEGATRON WINS IT! 35-31 Lions! Stat of the Game: Calvin Johnson’s 252 receiving yards on only 4 catches. This one had some similar last-second excitement as the real-life game, but a better result (44-41 Titans in Overtime). The Lions take on Minnesota at home next week! Thanks for reading! 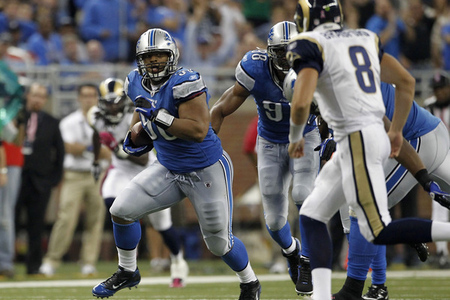 This week the Motown Lions look to strike gold against the San Francisco 49ers. Detroit hasn’t had much success against the Niners in recent years. Even during the 49ers down years. 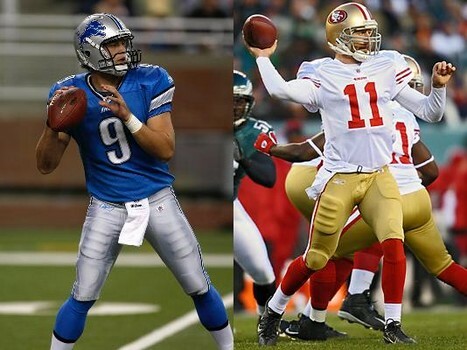 Both teams are coming off surprising winning seasons (2011 Lions were 10-6, 2011 49ers were 13-3). The experts are saying the real world match-up favors San Fran, but I have the power of Nintendo. Can I grab a win and defend the honor of my Lions? Or will Frank Gore make this game look like a horror movie? 49ers start with the ball. On the 2nd play, Alex Smith passes to RB Frank Gore. Gore rumbles for about 30 yards before he fumbles. 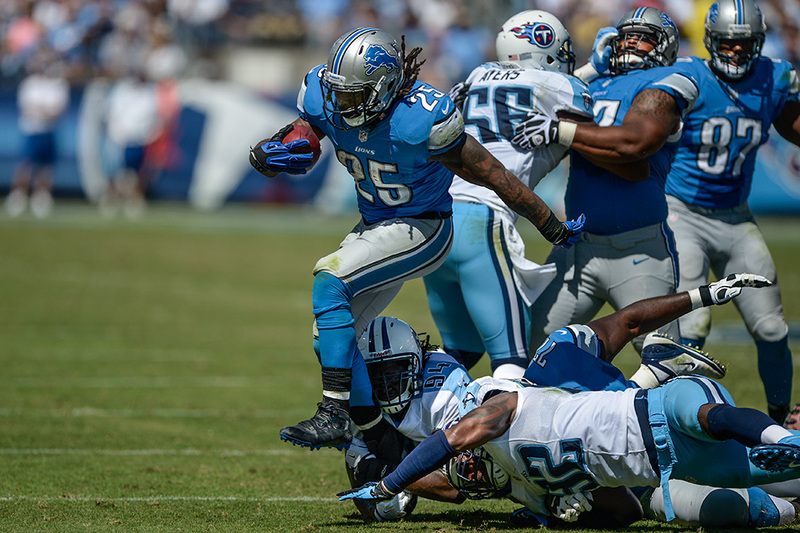 Lions Safety Louis Delmas recovers. A big gain on a pass from Stafford to TE Brandon Pettigrew closes out the Q1. Must’ve been close to 50 yards. I get immediate revenge. 49ers fumble the kick return and Lions recover! Frank Gore was unstoppable on the next 49ers drive, but they foolishly settle for a field goal to get quick points before the half. But there’s still 24 seconds! 20-10 Lions. I have 0 rushing yards. 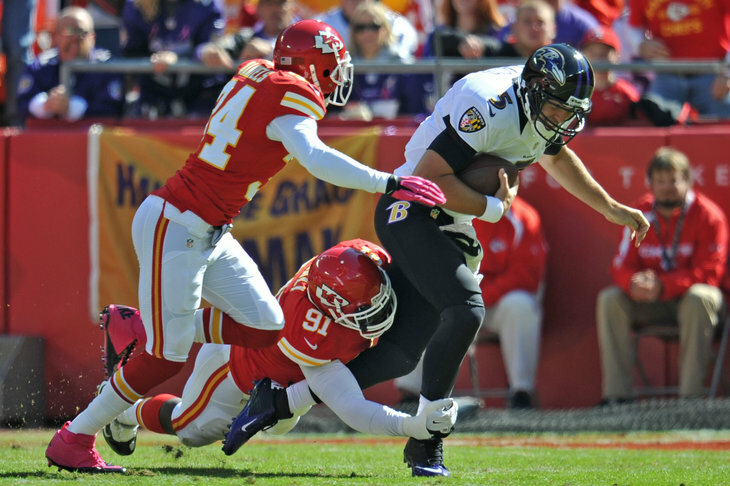 Alex Smith has a 100% completion rate, but only on 2 passes for 40 yards. One was a 35-yard pass to Vernon Davis. It was possibly a sign that I had 0 rush yards. RB Kevin Smith loses yards on the next 2 run plays before going out with an injury. I put in Jahvid Best. I go for it on 4th down. The catch is made, but then fumbled! 49ers recover and bring it to about the 15-yard line. I have a feeling a touchdown is coming. Fumbleitis strikes again. Jahvid Best fumbles, 49ers recover. 49ers have the ball. Can they put together a drive to tie it up? For the first time… I shamefully punt the ball away. It’s a touchback, so the 49ers start on their own 20. I may lose this one. With 14 seconds left, Frank Gore is Superman as he breaks several tackles en route to a TD. 27-20 49ers. Stat of the Game: Frank Gore’s 209 rushing yards. Compared to how the real life game turned out (27-19 49ers) this one was not much better. I hope to recover next week against the Tennessee Titans! When news broke of this game being available, I was geeked. This downloadable hacked NES rom of Tecmo Super Bowl requires an emulator to play, but with my trust Retrolink NES USB controller, it’s the next best thing to playing on a TV. So what is this game? 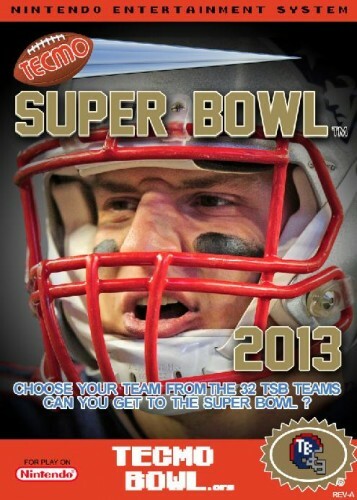 It’s the classic 1991 NES game, Tecmo Super Bowl updated with rosters accurate as of the 2012-13 NFL season. Instead of doing a review of it (seriously, everyone knows how awesome TSB is anyway), I will be doing a season playthrough and posting about each game here on the blog each week. I will be using my Detroit Lions for the purpose of this series. Without further ado… let’s uhh, do this thing! Stephen Jackson for the Rams took it down for the TD on opening drive. Could not get one stop. 7-0 Rams. Defensive stop by Lions results in a safety. 9-7 Lions. Another long bomb from Stafford to Burleson as Q1 comes to a close. 16-7 Lions. Another Lions defensive stop results in a safety on the following Rams possession. 18-7 Lions. I have to note at this point I’m not using the nose tackle to repeatedly dive for the QB or RB. Suh plays to the right of him. Suh consumes all. Lions running back Kevin Smith was running like a beast until he fumbles the ball on the 10-yard-line. Rams recover. Stephen Jackson fumbles the ball near the 50 on the following Rams drive. Lions recover. Starting to think maybe passing the ball is the best option. Stafford to Burleson AGAIN for a 29-yard TD reception. 25-7 Lions. Interesting halftime stat: Matthew Stafford has 167 passing yards; Nate Burleson has 167 receiving yards. Guess who’s getting the ball the rest of the game? OK, so I lied. Very 1st pass of the 2nd half was to Calvin Johnson. Kevin Smith fumbles the ball again, but Calvin Johnson recovers it and runs it about 40 yards. Is Megatron getting jealous of all the attention on Burleson? Calvin is gonna have to work harder. Stafford and Burleson hook up for a 4th time on about a 10-yarder. 32-7 Lions. Rams kicker Greg Zeurlein hits a decent-length field goal. Not worried. 32-10 Lions. Finally, someone else on the Lions scores as Kevin Smith runs it in for the score. I forgive him for fumbling twice. I’m betting he fumbles again before the end of the game. 39-10 Lions. The 1st 4th down turnover occurs as the Rams turn it over after putting together a nice drive. They shouldn’t give up on the run. I can’t seem to stop Jackson. A last-second desperation heave by Rams QB Sam Bradford results in an interception as the clock hits 0:00. Interesting stat of the game: Despite getting his 4th TD catch of the game in the 3rd quarter, Nate Burleson was virtually non-existent in the 2nd half. He had only 12 yards receiving in Q3 and Q4. Compared to the actual Week 1 result (Lions 27, Rams 23), I’d say this game was much better. This was a blowout very reminiscent of the 44-3 shellacking they handed to the Rams early in the 2010 season. Well that’s Week 1 in the books! Check out my Facebook and Twitter pages sometime!